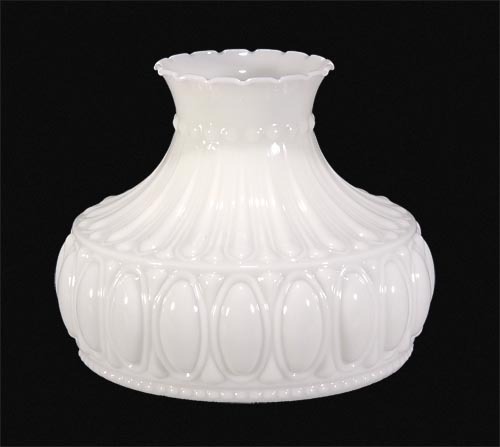 This shade is the same shape and design as the popular Aladdin Lamps Crystal Rose shades (M750, M751, M753 and M756 are all based on this shade design), but in a sought after solid opal shape. Elegant without being overbearing. 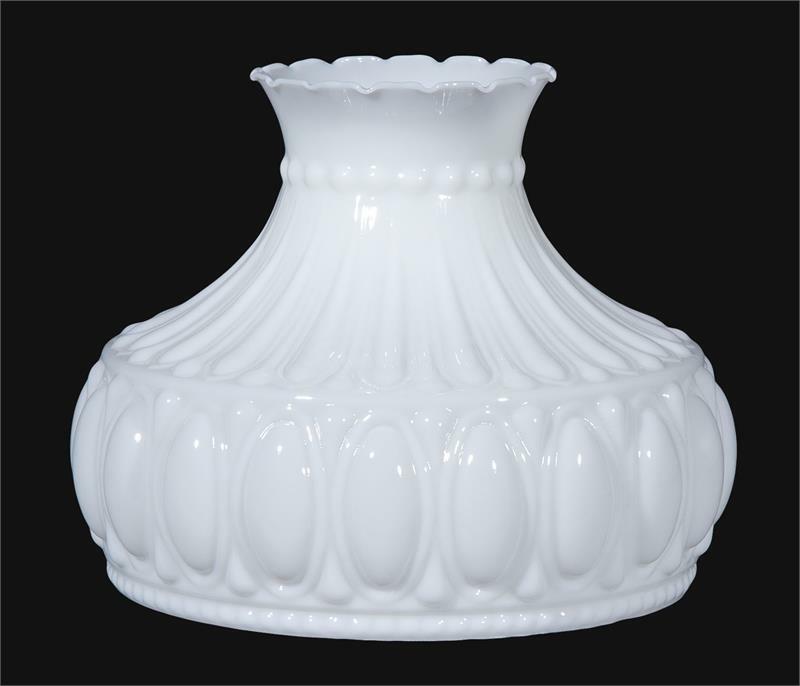 A beautifully shaped and detailed shade, it compliments the Short Lincoln Drape table lamps as well as many other Aladdin and Central Draft style Table Lamps.The opal white glass works well with both electric and non-electric (coal, kerosene, oil) lamps. 10" base diameter fitter, 8 1/2" height, with 11 1/4" bulge. Made by B&P Lamp Supply, Inc. and are not licensed, inspected, or warranted by Aladdin Industries, LLC. They should not be confused with ALADDIN® brand products or parts manufactured by Aladdin Mantle Lamp Co. of Clarksville, TN. ALADDIN® is a registered trademark of Aladdin Industries, LLC.